Two double centuries and 3 tons in a match are delight to watch but cricket lovers would prefer watching a match which ends in a result other than a draw, irrespective of who wins the match. Colombo run fest ends in a draw and India has somehow managed to keep their number one position in the ICC ratings intact. This match saw a run fest of 1478 runs in 5 days and nightmare pitch for the bowlers. India faced a mammoth total of 642 by Lankans and they managed to score 707 in reply. Srilanka in reply on 5th day scored 129 for 3 wickets. 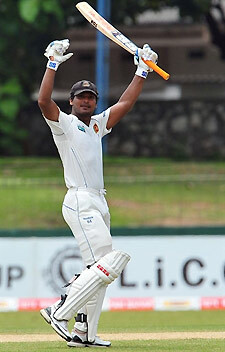 Srilankan skipper Kumar Sangakkara was awarded man of the match for his brilliant double century in the 1st innings. Srilanka leads the test series 1-0 with one test to go.